Dr Krzysztof J. Filipiak is ISCP Governor for Poland. ISCP Governors act as representatives for different countries worldwide to encourage local participation and contribute to the ISCP’s educational programmes. Dr Filipiak is Professor of Cardiology and currently Deputy Rector for Internationalization, Promotion and Development at the Medical University of Warsaw. On appointment in 2009 he was the youngest person to be made professor of cardiology in Poland. 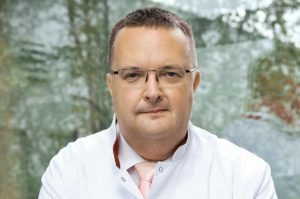 He is President-Elect of the Polish Society of Hypertension and past Chair of the Polish Cardiac Society Cardiovascular Pharmacotherapy Working Group (CP-WG). Former Editor in Chief, Polish Heart Journal.